Becoming a power user is all about knowing the tiny ins and outs of the interface. You'll become a better designer through deep knowledge of your tool, shaving seconds and reducing strain from repeated actions. We've gathered up a huge volume of those little tidbits and secrets and bundled them into this jam-packed course! 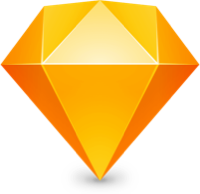 Effectively resizing layers in Sketch is all about being intentional with your settings. Knowing the ins and outs of the different resize modes is the key to success. There are a few tips left to cover, but they just don't fit neatly in a category. Bonus time! Learn about interface customization, time-savers, and organization ideas!